Plastic has long been a debatable substance is the modern world. It’s looked at as a necessary evil – something to coat the interior of paper cups to add integrity, a vessel to house cleaning products. It can be moulded into almost any shape, used to make expensive things available on the cheap. Most every industry has adopted plastic in some form; car makers use it to put together interiors, electronics use variations of plastic in multiple products, and, of course, the food industry has jumped in bed with plastics. There’s good reason for the plastic love affair. It makes things affordable and offers complete customisation whether you’re in the market for tailor-made rigid containers or in need of a universal wrapping material that works just as well on sandwiches as it does covering a salad bowl. 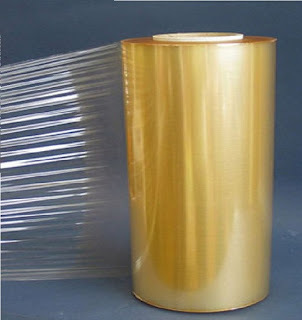 Plastic wrap has been around since the mid-1900s courtesy of Ralph Wiley of The Dow Chemical Company and is made of a low-density polyethylene. 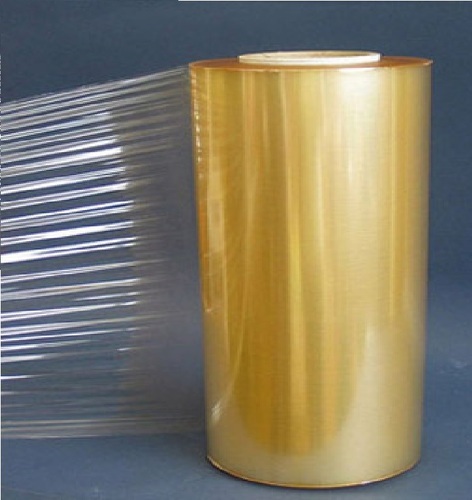 A product of many names (plastic wrap, cling wrap, Saran wrap), the plastic wrapping clings stubbornly to any surface it touches upon, including itself. For decades it has been used in residential and commercial kitchens to lock in freshness and keep out air. 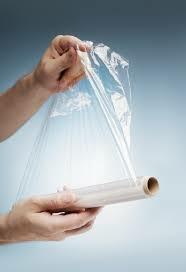 In terms of functionality, plastic wrap operates much the same way as aluminum foil does. A 2016 poll conducted in the US revealed that most consumers use between one to two rolls/boxes of plastic wrap within a six-month period. Most consumers, over 73 million, estimated that they used one roll in that period of time. That’s 146 million rolls used in one year. People love their plastic. In recent years, an industrial chemical used in plastics has been thrust into the spotlight forcing plastic manufacturers to deal with social justice warriors. Bisphenol A, commonly called BPA, is used to make polycarbonate plastics and epoxy resins. Studies have shown that plastic containers can leach BPA into food and beverages. Continued exposure to BPA can have effect the brain, behaviour and can affect fetuses. Worryingly, polycarbonate plastics are used to make food storage containers like water bottles, plastic containers and plastic wrap. Epoxy resins can be found coating the inside of metal food cans and bottle tops. France prohibited the use of BPA in food packaging years ago. These tests ensure that plastic products do not leach “more than one 100th” of harmful chemicals. If a product fails the test it is not allowed on the market. For some, this is enough to set their mind at ease as they reach for the cling wrap. After all, if the EFSA is content with their toxicology tests, shouldn’t the public be? Cancer Research UK claims that there is supporting evidence linking the use of plastic containers or plastic wrap to cancer. They advocate the safety of using plastic in the microwave: “You can use most cling film and plastics in the microwave, just make sure you use them as the instructions say.” That is to say that using items labeled safe for use in the microwave will not leach harmful chemicals into food. More temporary plastic containers (i.e. margarine tubs, takeaway containers) are not designed for long-term use and should never be exposed to microwave ovens. These containers may melt.